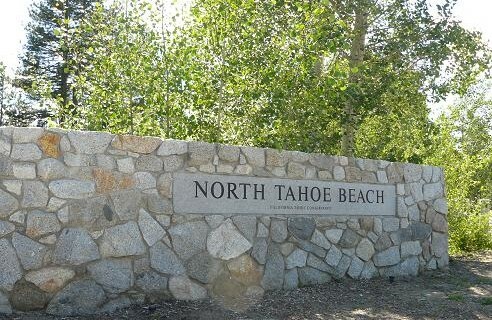 The North Tahoe Beach is a 2.7 acre beach site that is located at 7860 North Lake Blvd in Kings Beach, California. 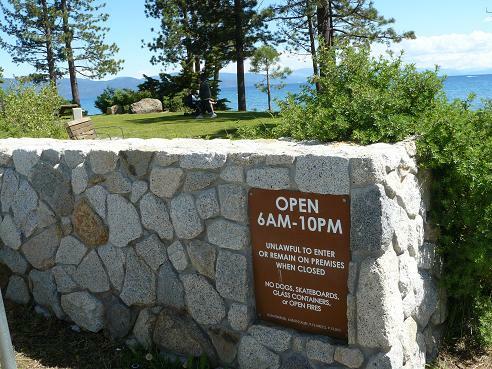 The beach is open year round from 6am to 10pm, and it is unlawful to remain on the premises when the beach is closed. 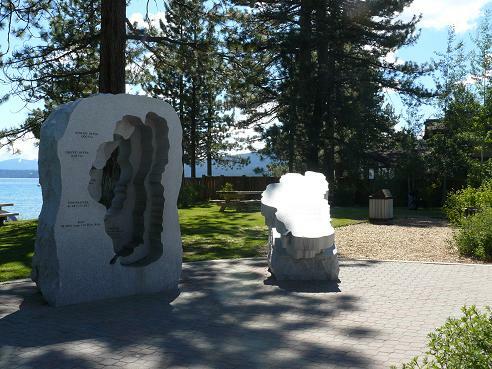 I love this sculpture of Lake Tahoe! 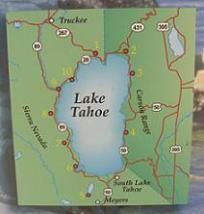 They have interesting facts about the Lake all around it, and the part that is cut out, indicates the depth of the lake around the edges, and in the middle. 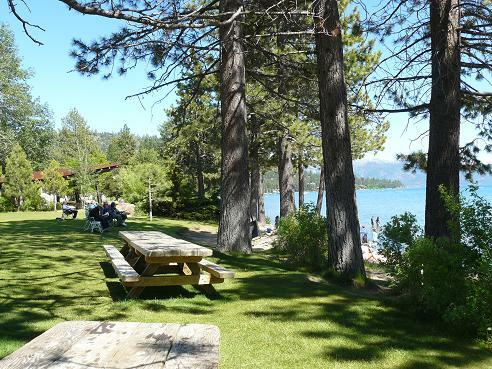 One thing that I really love about this beach area, is that they have a grassy area above the beach with lots of picnic tables where you can sit and eat lunch, or dinner while soaking in the gorgeous view of the beach and the lake. 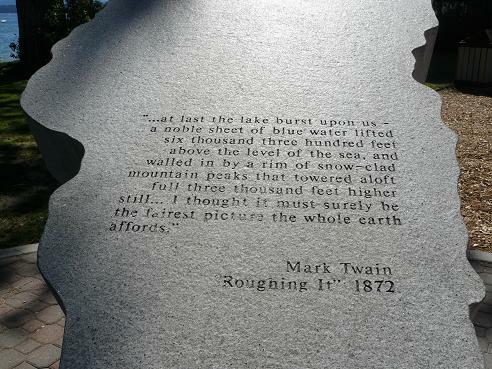 There is 540 feet of shoreline at this beach - I like it because every time, I've been beach hopping, in the area, it is not as crowded as the larger Kings Beach State Recreation Area. 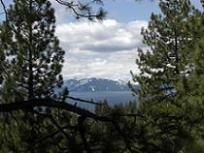 This is what the view of Lake Tahoe looks like from the beach area - truly spectacular! 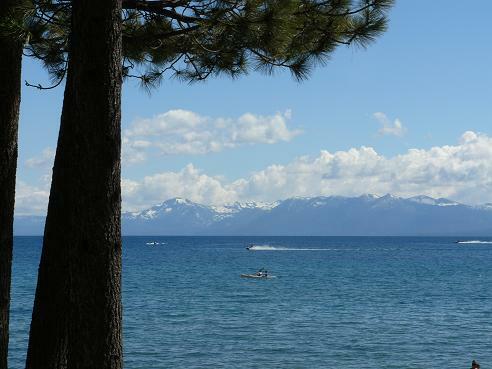 It is so peaceful, just to sit on the beach and watch all the boats go by! 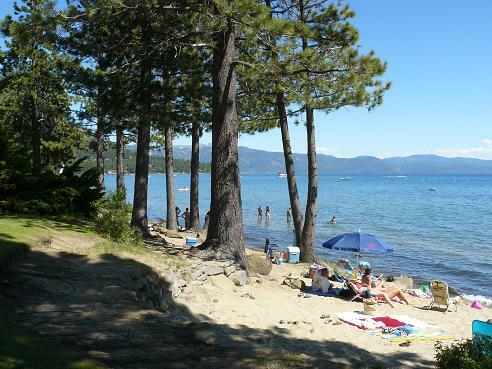 The North Tahoe Beach includes restroom facilities and a group picnic shelter that includes a BBQ, running water and can seat around 90 people. 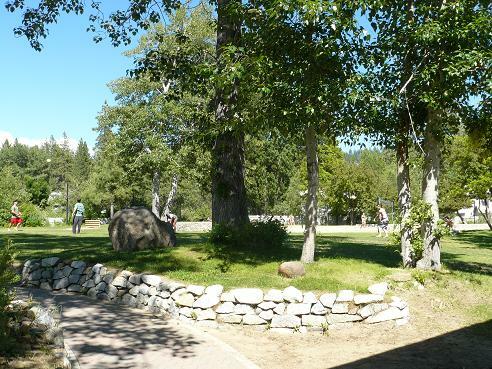 This area can be rented out for parties, weddings, or group picnics. 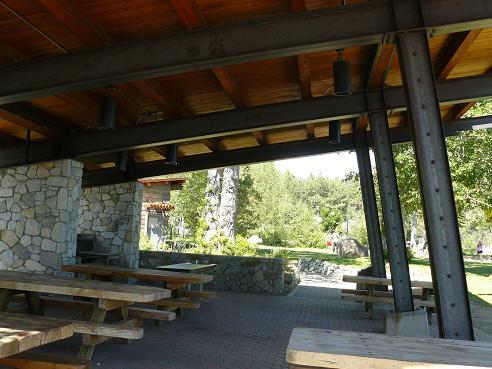 It is a nice shady place to hang out on the hotter days! 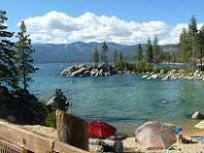 There are also 3 beach volleyball courts! 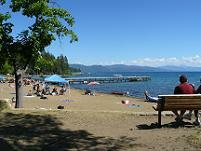 This beach is owned by the California Tahoe Conservancy, and is maintained and managed by the North Tahoe Recreation & Parks district. 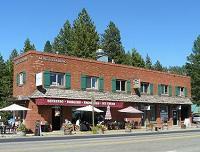 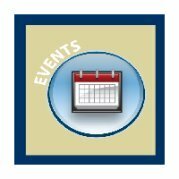 There is also a visitor information booth in the summer months that is run by the North Lake Tahoe Resort Association, to provide visitors with information on the North Tahoe area.